Nearly 24 hours ago my alarm went off, and i find myself back at the computer typing a brief report. 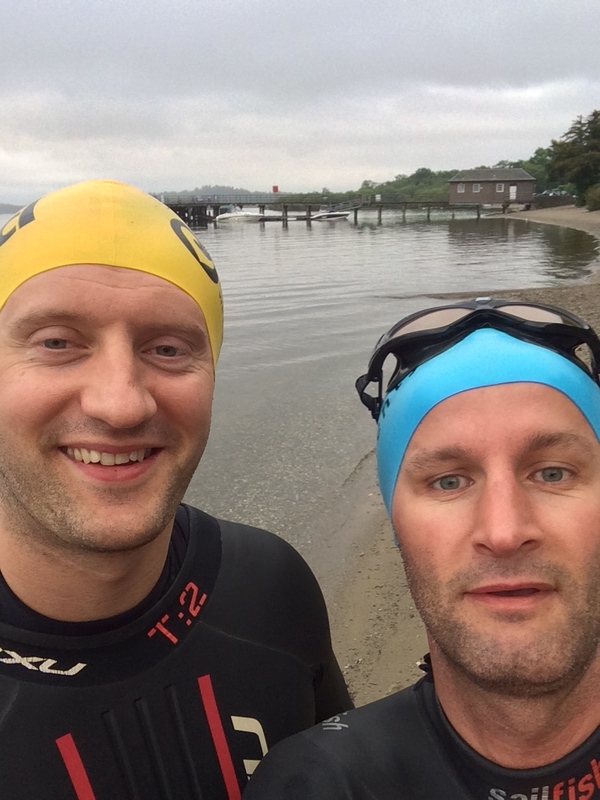 I will write a further report in more detail over the coming days, but tout i would post that at 21.40 on the 27th July 2014, Chris McGrenary and myself pulled ourself out of the loch in front of friends and family after swimming approx 24 miles, the full length of Loch Lomond. Why am i awake at 3.30 am writing this? b- i needed a middle of the night feast!! 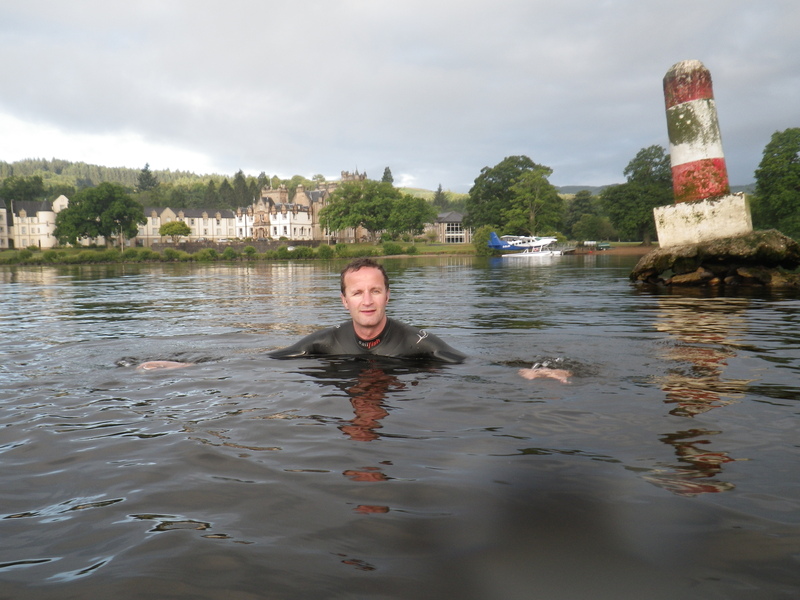 Another training swim was completed on Saturday 12th July, 8 miles from Balloch up to Luss. another 8 miles under the belt and i believe both Chris and I are confident that we will complete the longest day of our lives at some stage over the next 6 weeks. I have to say that i was honoured and demoralised yesterday during our swim as we were accompanied by James Leitch AKA merman, we are targeting the time of 14-16 hours for our 24 mile swim, he holds the World Record in just over 9 hours. The next text was written the main man Captain and Chef (Dave) Stark who steers us through our swims, it is important to read the following story of the day first before clicking on the link at the end, Mike, Dave’s son accompanied us with his broadcast ready camera and edited some exceptional footage. Enjoy the story and then enjoy the clip and the music (this can’t be players on Smart phones only Laptop’s and PC’s, so get the sound turned up!! I have just returned from a truly amazing time at the loch today and know I will struggle to find the descriptive words to do it justice. Last night I was in bed by 8pm with the alarm set for 2.50am. At 3.30am Mike Stark and I left for Balloch to fetch Jame’s boat from the Marina. We were to meet Warren, Big Chris and Fee.at our normal slip for 5am. We were there at 4.30am – I always like to be early !! All but Fee made it, unfortunately Fee had a rotten night and decided to sleep on. Hope your feeling better Fee. The boys didn’t waist any time and were in the water for 5.10am, heading out towards the point off Inchmurrin island. It was a very overcast morning but warm. Fog was heavy particularly in the distance hiding all the normally visible transit points. A reading from one of the boats instruments told us the water temperature was 18.4 degrees. Probably our warmest this year. Our journey in the boat was to be a wet one for Mike and me. There was a slight drizzle descending on and off for most of the way to Luss. However we decided to keep the boats canopy off for a clearer all round visibility. The water was flat calm with not a breath of wind. The boys were gliding nicely through the water at a steady pace, matching each other stroke for stroke. At 5.40am – 30 minutes in to our swim, I received a phone call from James (World Record holder) who was in his car and just passing Costa ! We carried on regardless knowing that at some point this machine will ultimately catch us. The wind picked up with a welcomed Southerly breeze and the water started to move in our direction making the swim easier than the previous week. However it did confuse us by changing infrequently as seen from our A Flag dancing to its every command. We reached our first stop off the point of Inchmurrin at 6.34am where the lads enjoyed a relaxing 8 minute break and wondered where James would be. Looking through his camera lens, Mike could make out the bare arms of James powering towards us, incredibly,some 600/700 meters away. It was just a matter of time. I decided to let the swimmers go on and waited for James who it turned out had used his paddles all the way from Balloch giving him a time of roughly 55 minutes ! James refused any nourishment and casting off his paddles carried on. By the time James drew up to our two swimmers, we were half way across this vast expanse of water which represents the widest part of Loch Lomond. From the start, Mike had been steadily filming away capturing the day’s swim, which I am sure will bare witness to today’s extraordinary event. Warren and Chis continued at their distance pace whilst James scooted off ahead. He was frequently seen swimming back and forth and at times diving under the water for several long seconds before emerging with that cheeky grin we all know so well. All swimmers met up again for a brief stop opposite the Golf Course. We couldn’t believe our eyes as James disappeared once more under the dark water. When he eventually surfaced, he produced golf balls from within his trunks and passed them over to Mike for safe keeping. Not one or two but 21 GOLF BALLS !!!!!!!!!!!!!!!! Only James. At one point Warren stated that on the one hand it was an honour to be in the same water as James but when he passed you at speed with such ease it was indeed a tad demoralising and ultimately caused the lads a bit of distraction. Just after we set off, Warren stopped to shout at Mike to prepare a Pot Noodle which hopefully would cool down before the next break. Off they went again. This time Chris was level with James and couldn’t resist the challenge. He and James went head to head. Stroke for stroke they powered alongside each other leaving Warren and the boat in their wake. 200 odd meters later Chris came to a sudden stop and was clearly seen grinning away. He admitted that he fell for the bait but quickly “blew up.” Of course when James looked back he couldn’t help but smile……He loved the challenge and later, after the swim, told us how much he had loved leaving Balloch knowing he had the task to catch up as quickly as he could. The time was 8.25am. We were there for 5 minutes with no toilet break this time. Finding out that James swam from Balloch to Inchmurrin with his paddles, Warren; in that lovely Geordie accent of his, laughed and declared James a cheat !! 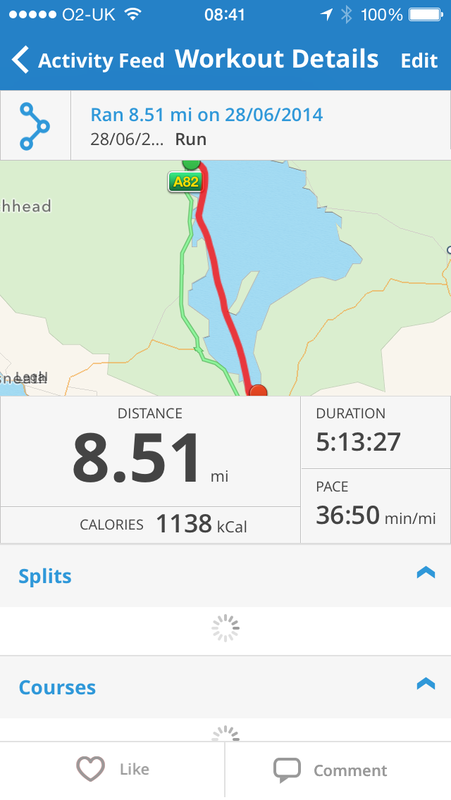 6 miles now under their belt with 2 miles to Luss. James continued to swim back and forth along the channel doing his own thing. The water movement was still with us helping the boys gently swim their final leg. All was going well until…..
Half way into the channel James disappeared under the water for some time and came up on Chris, frightening the bejeezus out of him. A thankful Warren was grateful he wasn’t the chosen victim for fear of a heart attack or filling his wetsuit ! Never a dull moment with James around.but on a serious note – it is an absolute privilege to witness this half man half fish in the water. 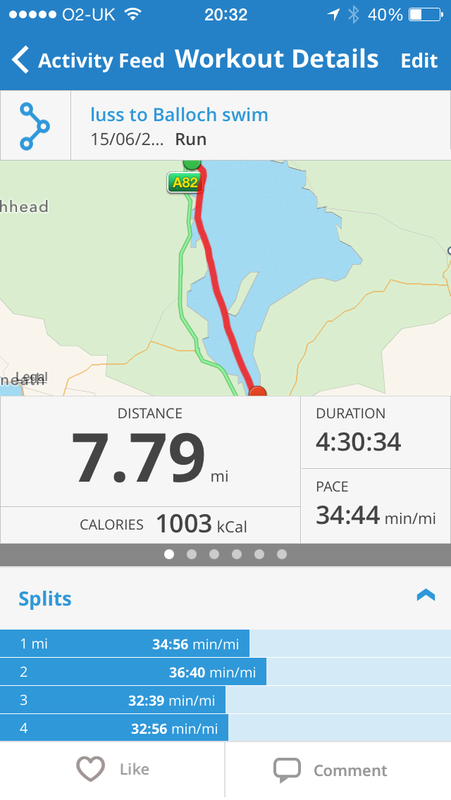 Half a mile or so to go and Luss was in our sight. With a few hundred meters to go, Chris and James were at it again – head to head. And once again Chris crashed out after blowing out of his A___ for a 100 meters. Meanwhile James carried on with a 50 meter fly !! Time to Luss 9.40am. Another great and worthwhile training swim today. We left Warren and Chris to drive back from Luss whilst James came back in the boat which only took 80 minutes to reach Balloch Marina. All of this and home for noon – what a day….. Copy the above link for the video, but please note that it will NOT work on mobile phones or tablets…this is due to the music used in the edit, but it can be viewed on laptops, pc and macs. When in youtube – go to settings (wee cog) and ensure it is on 720p for max result. 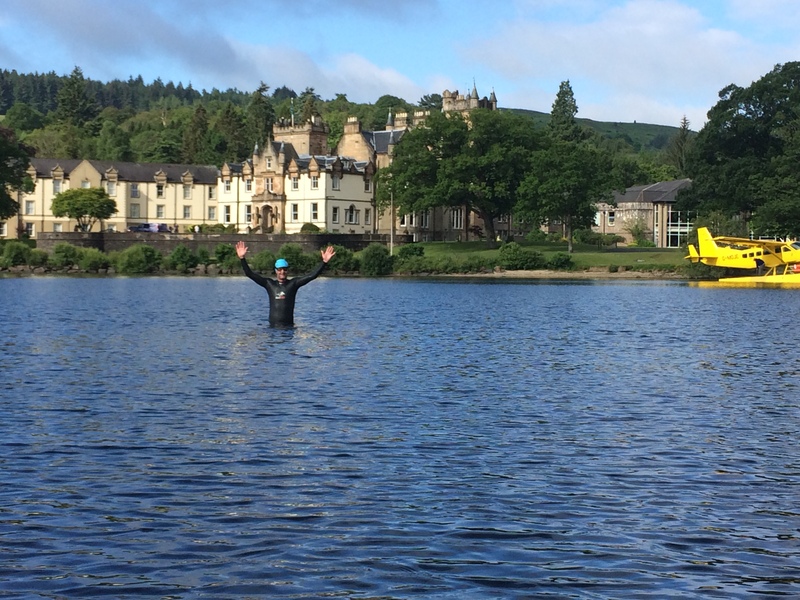 Another weekend and another long swim, yesterday saw us leaving Luss at 5.20am and setting off on the Balloch route as featured in the next image. It was a stunning morning that gave us another glimpse of the beauty of this part of the world. I thought today i would speak about the more negative side of OW swimming as everyone who reads my blogs must think that all i every do is promote my wonderful relationship with the Lady of the Loch. Don’t get me wrong i still believe that the positives totally out weight the negatives but i also prefer to give the other side of the coin with a few of the dangers and annoyances. The Cold – The temperature in the Loch’s varies depending on a few factors, predominantly (and all you geography experts out there please this isn’t a lesson!) depth of the Loch, recent rainfall, winds, currents and the time of the year. We went for a dip on Boxing day and the water temp was in the region of 3-4 degrees, during this weekend the temp was approx 17 degrees which i am hoping will be the temperature for the big swim, anything below 15, for the length of time we will be in the water may be an issue. 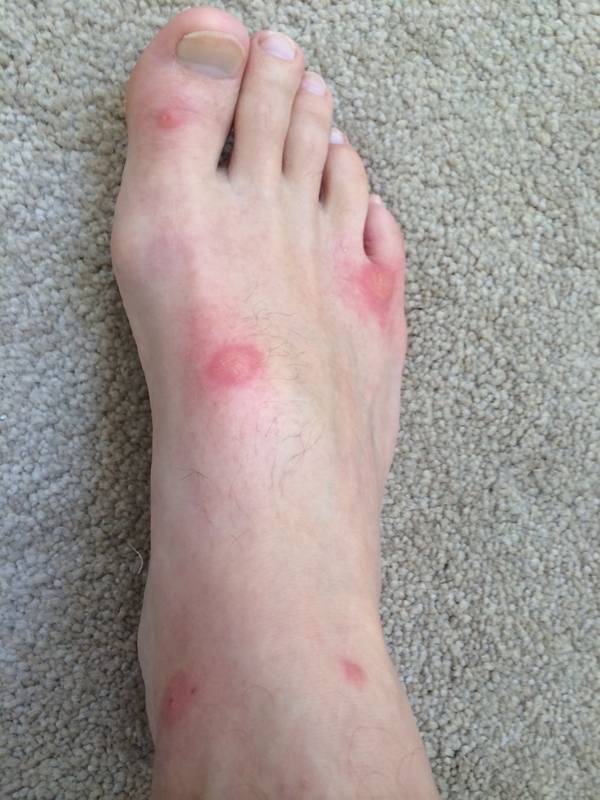 Other water users – For many years us OW swimmers i believe have been quite ignorant about our use in the water and ultimately our own safety. Just because we wear brightly coloured hats doesn’t mean we are instantly visible. Lately we have all been buying these brightly coloured Buoy’s which you pull along behind you and are the size of a beach ball, many Loch users have been complimenting us on these inventions as they state they see us from further away. The only real danger now is the rowers, which i have mentioned previously who haven’t got the foggiest whats behind them. We are now in the middle of what we must call summer, Scotland doesn’t often get the sunshine for any more than a nanosecond but we have been baked in glorious sunshine for the past 10 days and this can have a huge positives for us Open Water Swimmers but also many issues. As you can see from the image above the wet suit is still on but once i had banked the 4 miles training swim we ditched the suits and i have to say it was the warmest i have ever felt Loch Lomond for a suites swim, it was the equivalent of the swimming pool on holiday, chilly at first but once swimming for enjoyable. With the sunshine also brings the negatives, we were swimming in Castle Semple Loch earlier in the week, this is the shallow loch that we used at the start of the year which is a very shallow Loch and holds the temperature well. We went for a swim on tuesday night and the Loch’s water quality had changed, it was like soup, i hadn’t witnessed the Blue Green Algae bloom previously but you just knew it was present. Rightly so, the local parks authority issued the warning the following day. I mentioned last week that there are dangers and we met a few then with Jet skies, speed boats and even Water Planes. Yesterday we met what i consider to be the biggest danger- the rowers. All other water users no matter how fast they are travelling are facing towards you and we make ourselves as noticeable as possible, rowers are oblivious to what is going on behind and in Loch Lomond there isn’t any rowing lanes so we need to mind read. I need to thank my swimming partner this weekend, Robert Heron, without him i would have been on my own and for safety reasons wouldn’t have managed to get a decent swim in. He’s another fish, we headed out to the green and red buoys without the wetsuits on the way back in he breaks into 50M of Butterfly and flies past my plod of a front crawl. Previously i would have been very annoyed that he was able to pass me so easily, now i just have to watch and admire! So here i am sat at the computer tapping away with 6 weeks to go until the planned big day. How do i feel? I actually feel good, I am aware that we have only done a few larger swims at 4, 5 and 8 miles but we have certainly trained the strength into our shoulders. What a morning, after heading to bed in the early hours of the mornings the alarm went off at 5.50, normally this is too early for me especially with only 4 hours kip. However with the sun shining in the windows and my velux it was a pleasure to roll out of bed and head downstairs for my mandatory bowl of porridge and coffee. Big Chris and I had organised to meet at the Car Park at the Maid of the Loch at 6.50 to ensure we were in the water for 7am. What greeted us was one of the mornings we dream of, calm waters, bright blue sky and warm in the air; however what we were about to experience over the next 3 hours was a roller coaster. We headed into the water and set the ‘Mapmyrun’ on my iPhone (If you are wondering how i swim with my phone – I have one of the water sealed orange buoys which drag behind us when swimming, great for not getting hit by boats!!) and were straight to the first yellow buoy. As stated earlier the water was crystal clear, calm with the sun glistening on every breathe, at this yellow buoy the first mention of Inchmurrin arose and we totally believe “The Lady of the Loch” heard this conversation, as we headed off due North and into the open waters you could feel the air pressure changing and the swell of the water beginning. The land geography in a nutshell is shelter for the first mile then the Loch opens up and at this stage we felt the changes. Call me a coward, i call it sensible, as soon as we felt the swell and the change in conditions we both made the decision to turn and swim the distance required in more sheltered waters, the lady didn’t think we were ready to bridge the return journey to Inchmurrin (6 miles) so we duly accepted her opinion and turned due west toward Duck Bay. I have taken on the female species for most of my life and usually end up losing the argument. Therefore when the Lady of the Loch informed us that she didn’t want us to proceed we duly obliged. Now i have to let you know a secret about Big Chris “Shoulders” McGrenary, he is an absolute powerhouse through the water, that is the flat calm swimming pool water but in the chop he struggles and this makes me feel a far better swimmer than i actually am, as he struggles and i feel great! bonus. So there you have the first long distance LL swim of the year in the bag, 3 hours and 5 minutes with a distance of 4.98 miles. Very pleased with that until you realise only another 19.02 miles to go! !